NYC Shopping is exhilerating and a spectacular way to spend some family time. 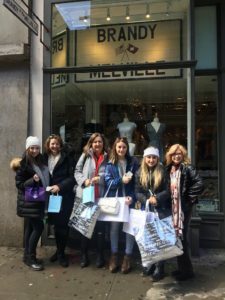 This family celebrating Spring Break in March 2017 conquered SoHo & NoLita with the help of their fashionable guide. Private 3 Hour Shopping Tours.